We have officially been homeowners for a year and almost three months. 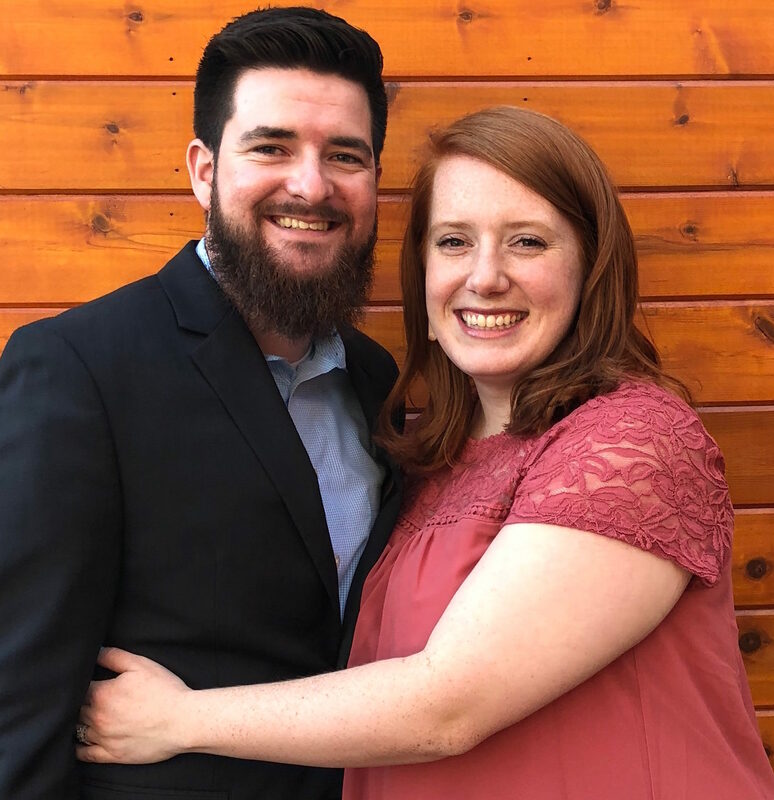 In just 45 days we started the house hunt, put an offer in on two houses, got our offer accepted on one, got the house inspected, agreed on repairs, waited, waited, waited and finally closed on our dream home. But it felt like so much longer. 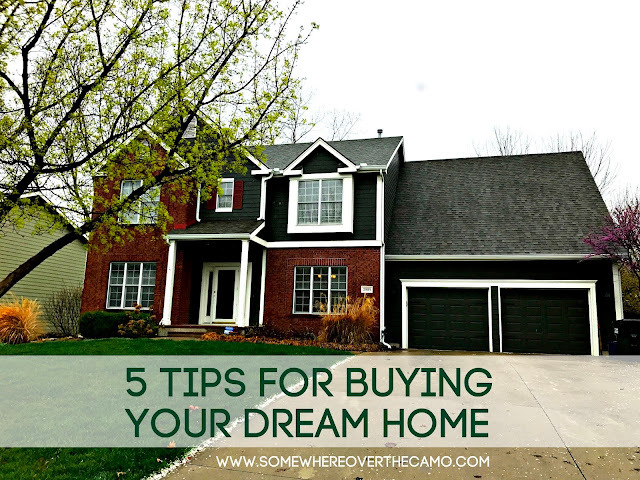 Here's my five tips for buying your dream home. 1. Patience. I have friends that closed faster than us and friends that endured a painful 90 day closing. House buying is a lot of back and forth and waiting around. It really isn't much fun for those who don't have patience (my husband..). Can we just pause for a moment and reflect on the fact that all things "adulting" require WAYYYY too much patience?! 2. Know what you want. That market in our town is INSANE. Unless your house has some really extreme negatives or you've priced it for more than it is worth and aren't willing to budge (the first house we offered on)... houses don't stay on the market much longer than a month in this town. Our house was on the market not even 48 hours before it had 3 offers in on it. There is absolutely no time to think on it, so you have to know what you want and be willing to make a quick decision. 3. Figure out your giving points. Originally Rob wanted a 3 car garage, a basement and a second living area. In this town... our options were EXTREMELY limited. Our first day out looking we saw 4 houses. Only one had all 3. We knew if we wanted to quickly get into a house we needed to figure out what could go as a priority. For us it was the 3 car garage, as long as the garage was not a standard 2 car garage. Our home has a 2 car oversized garage, a basement and a second living area. And I'm happy to report we are all content. 4. Find a good realtor. We went with someone I had already met through a playdate I hosted at my house. Tori was quick and dealt with everything we threw at her. We are the people that know what we want and aren't afraid to be a little bit aggressive. Tori kept us in check and got everything done and submitted quickly. Luckily we didn't have any real negotiations (since there were 3 offers, they asked for best offer from the get go and then picked the best one for them... we won!) but I'm confident no matter what Tori would have been able to get us what we wanted. A good realtor is key in this very stressful time. You want knowledge and confidence. Both of which we got. Plus we came out of the deal with not only a house, but new friends as well! I will never stop thanking you Tori! 5. Don't invest all of your time and energy into making something work that isn't going to happen. From the very beginning Rob told me to keep an open mind. He knows that I get attached easily to the idea of things. We put an offer in on one house. It was the layout we wanted, but needed some major updating. They had it priced well above what we wanted to pay for it, so we shot them an offer and they came back to us with a very weak counter. It was clear they were not going to be negotiating off of their price. So we walked away. (They sold it almost 6 months later for what we originally offered them...) Being able to do that is a HUGE deal when it comes to buying a house. Because we weren't overly invested it wasn't a major loss for us. Nothing is ever a given until you sign on the dotted lines at closing. House buying is stressful. In the year since buying our house we have had small projects and large projects.. there is always something to do. But having our own space at this time in our life after years of renting is worth it in so many ways. Do you have any home buying advice? Buying a home is definitely stressful! We had several things that we were not willing to budge on. One was a fence in backyard. I refused to look at anything that didn't already have one. Yes! That is definitely a must too. I don't think any of the ones we looked at did not have a fenced in yard. Just not enough time to walk a dog five billion times a day with all these kids needing my attention. Haha.